Application deadline January 31, MIDNIGHT EST for externships completed within the following 12 months. 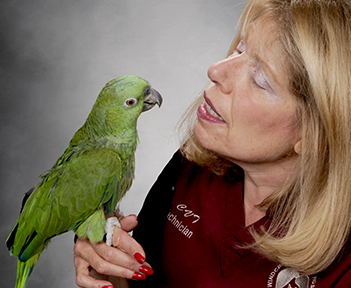 All AAV STUDENT MEMBERS entering their clinical year who intend to complete an externship at a veterinary facility that evaluates at least 10 avian cases per week. Facilities that would likely fulfill these criteria include avian and exotic animal focused private practices, the avian service in a veterinary teaching hospital, larger wildlife clinics and zoos, and avian breeding facilities with a veterinarian on staff. A maximum of $150/week for up to 4 weeks ($600 US). Partial awards may be made depending on available funds. 1. The receiving facility’s externship coordinator must submit a letter confirming that the student has successfully fulfilled his/her externship. o A log of all observed avian cases that is signed by the supervising veterinarian. o A summary of the externship experience to be included in the AAV newsletter and/or published on the AAV website. This narrative should be written in English, 500 - 800 words in length, and submitted in Word format. 3. All supplementary materials must be received within 1 month of the end of the externship or the scholarship is forfeit. The application will require submission of the following details. Please ensure you have all items available prior to beginning your application. 1. Complete contact information for both Student and Externship Facility/Coordinator. 2. Description of the externship including the name and location of the practice/veterinary school/organization, duration in weeks, and method of evaluation (pass/fail, letter grade, etc.). 3. Brief statement signed by the externship coordinator that verifies the applicant will observe at least 10 avian cases a week and will be under the continual supervision of a veterinarian while observing and assisting with these cases. 5. Explanation of any past or present association the student has with the AAV including but not limited to individual membership, participation in student chapter activities, and conference attendance. Application due by January 31, Midnight EST. Only complete applications will be considered. Selection of awardees will be made by the Chair of the Veterinary Student Membership Committee with oversight of the Executive Board within one month of the deadline.